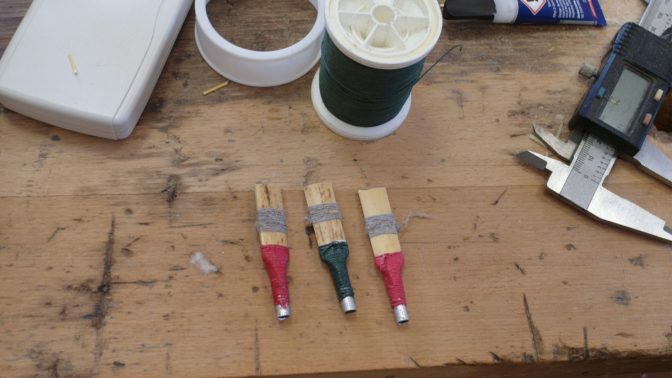 Subject to demand, a short course to learn how to make reeds for the Northumbrian (or Scottish) smallpipes – then, if you wish, stay on for our Northumbrian smallpipes weekend! The course is led by renowned piper and maker Andy May. You’ll be in the workshop by day, but there will be time in the evenings to relax and enjoy informal playing sessions in the bar, so bring your instruments and try your new reeds! This course is for all-comers. Tools will be supplied but you may wish to bring your own. There will be a small charge of £10-£15 (payable on departure) to cover the cost of cane. Andy May was introduced to the smallpipes by his father Stan, later learning from Roland Lofthouse and Adrian Schofield, and from studying the recordings of Billy Pigg and Tom Clough. Through the 90s Andy entered many piping competitions and studied music at the University of York with the pipes as his chosen instrument. Andy has been a full-time musician since 2002, nowadays touring with North-East band Jez Lowe and the Bad Pennies, UK/Finnish/Danish ensemble Baltic Crossing, his own Andy May Trio, and various other projects. When not gigging Andy has become a pipemaker, again learning much from his father, and also Colin Ross. He has a particular interest in the study of old instruments and his current ongoing research project is into the pipemkaing of Tom Clough and Fred Picknell. Andy became the Vice President of the Northumbrian Pipers’ Society in 2012. This biog doesn’t adequately reflect just how cool Andy is at all times, but until he supplies a better biog you’ll have to trust us on that!